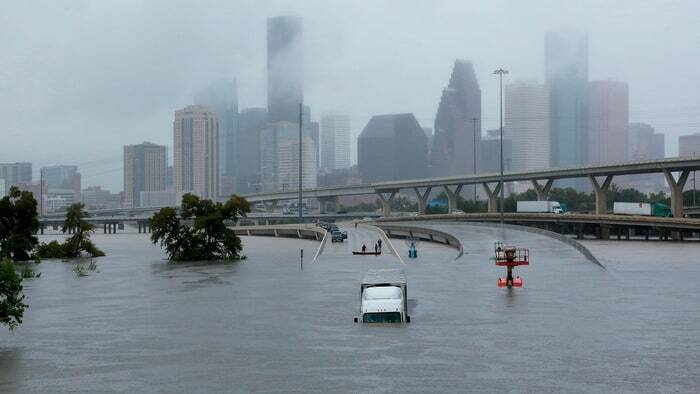 A Houston interstate after Hurricane Harvey in August. Richard Carson/Reuters If we don’t win very quickly on climate change, then we will never win. That’s the core truth about global warming. It’s what makes it different from every other problem our political systems have faced. I wrote the first book for a general audience about climate change in 1989 – back when one had to search for examples to help people understand what the “greenhouse effect” would feel like. We knew it was coming, but not how fast or how hard. And because no one wanted to overestimate – because scientists by their nature are conservative – each of the changes we’ve observed has taken us somewhat by surprise. The surreal keeps becoming the commonplace: For instance, after Hurricane Harvey set a record for American rainstorms, and Hurricane Irma set a record for sustained wind speeds, and Hurricane Maria knocked Puerto Rico back a quarter-century, something even weirder happened. Hurricane Ophelia formed much farther to the east than any hurricane on record, and proceeded to blow past Southern Europe (whipping up winds that fanned record forest fires in Portugal) before crashing into Ireland. Along the way, it produced an artifact for our age: The warning chart that the National Oceanic and Atmospheric Agency issued shows Ophelia ending in a straight line at 60 degrees north latitude, because the computer program never imagined you’d see a hurricane up there. “When you set up a grid, you define boundaries of that grid,” a slightly red-faced NOAA programmer explained. “That’s a pretty unusual place to have a tropical cyclone.” The agency, he added, might have to “revisit” its mapping software. 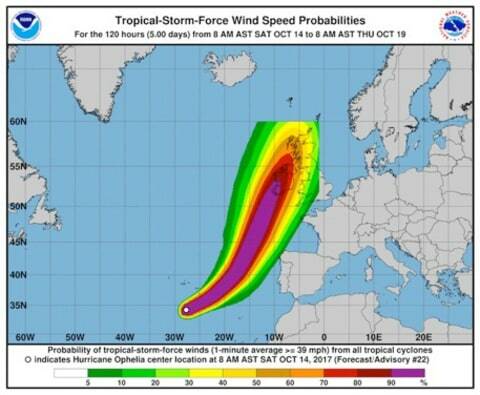 The warning chart that NOAA issued shows Hurricane Ophelia ending in a straight line at 60 degrees north latitude, because the computer program never anticipated a hurricane so far north. There are plenty of tipping points like this: The Amazon, for instance, appears to be drying out and starting to burn as temperatures rise and drought deepens, and without a giant rainforest in South America, the world would function very differently. In the North Atlantic, says Mann, “we’re ahead of schedule with the slowdown and potential collapse” of the giant conveyor belt that circulates warm water toward the North Pole, keeping Western Europe temperate. It’s tipping points like these that make climate change such a distinct problem: If we don’t act quickly, and on a global scale, then the problem will literally become insoluble. 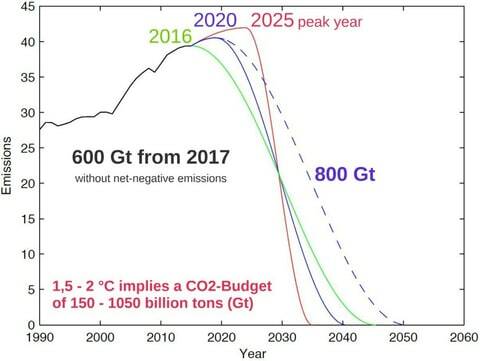 We’ll simply move into a dramatically different climate regime, and on to a planet abruptly and disastrously altered from the one that underwrote the rise of human civilization. “Every bit of additional warming at this point is perilous,” says Mann.